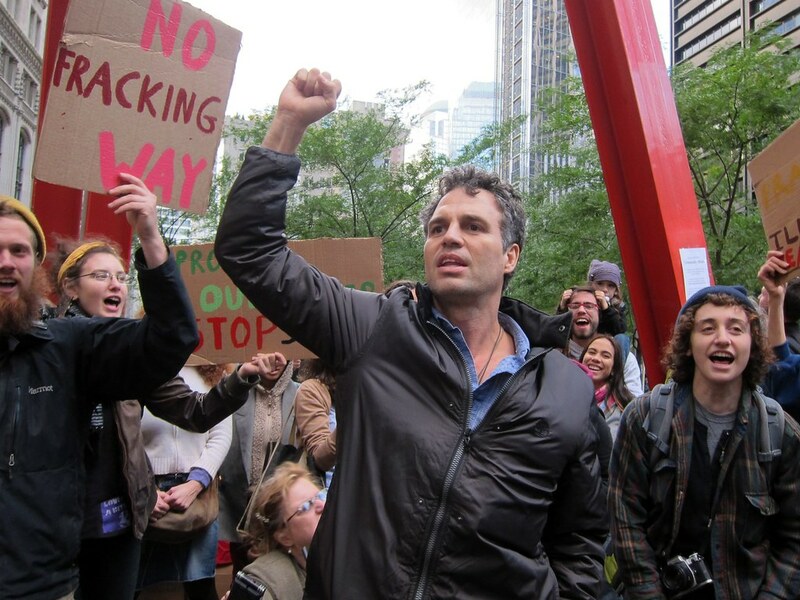 Mark Ruffalo, Alyssa Milano, Michael Moore, Rosie Perez, and Whoopi Goldberg are among the celebrities who are planning on attending “The People’s State of the Union,” billed as a “public alternative” to Trump’s first State of the Union address. In a statement, Milano called for social media users to create brief videos describing “your dream for America” and post them at the same time, 9 p.m. EST, with the effort’s hashtag. Following up on Monday, Milano went on to urge her fans to get their #StateOfTheDream videos ready and is asking participants to post them simultaneous to the event and Trump’s speech at 9pm EST. “We’re all going to work together across all different movements to make sure that we win back Congress in 2018 and hold this president in check,” Walsh says. Leaders of the Resistance Movement are coming together to host The People’s State of the Union, a hopeful, public alternative to Trump’s State of the Union speech the following evening. Andra Day and Common will perform their Grammy and Oscar-nominated song “Stand Up for Something” from Marshall. Mark Ruffalo, Whoopi Goldberg, Cynthia Nixon, Michael Moore, Kathy Najimy,Wanda Sykes, Lee Daniels, Rosie Perez, John Leguizamo, Fisher Stevens, and representatives from United We Dream, Stand Up America,MoveOn.org, CREDO Mobile, AFSCME, , Women’s March, Planned Parenthood Action, Indivisible Guide, SEIU, AFT – American Federation of Teachers, 350.org, People For the American Way, Food & Water Watch,Bend the Arc Jewish Action, and other organizations. The Bustle reports that “The event is being held on Monday night in New York City…. Tickets are on sale for those interested in attending the event, starting at $47. It will be held at Town Hall, a famous progressive theater near Times Square that was built by suffragists in 1921. The event will be Livestreamed at peoplessotu.org which redirects to a Facebook page hosted by MoveOn.org.